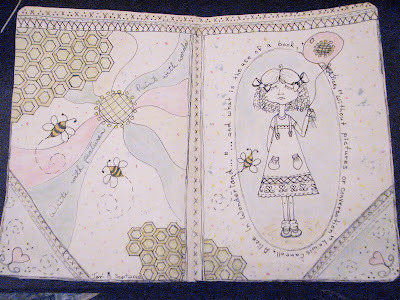 This week’s art journaling class with Jenny and Aaron of Every Day is a Holiday had me excited. 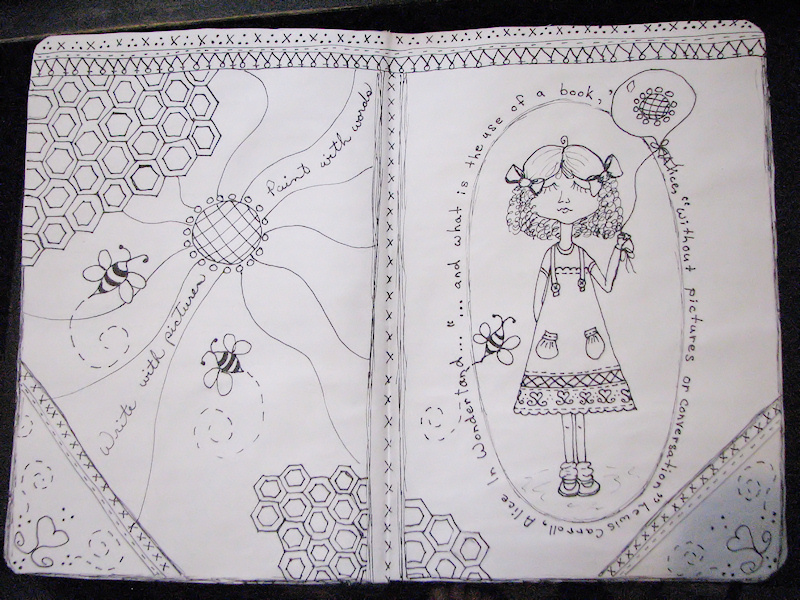 It wasn’t just looking at Jenny and Aaron’s gorgeous pages or drooling over the desserts featured on them, this week was all about using black and white, leaving lots of white space and doodling. I love to doodle. 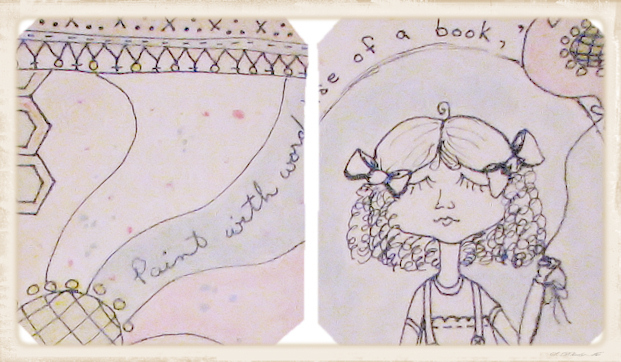 As usual, I didn’t know what I was going to do, so I started with the border at the top of the pages and let the pages develop from there. I worked in pencil and ink, until the very end when I added washes of water color and paint speckles. I was tempted to leave it black and white with no color, but settled for leaving the girl uncolored and adding pale pastels. I added no other elements to the journal this week. 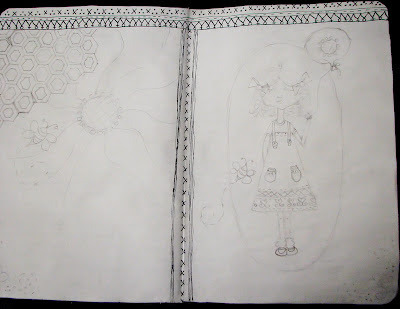 Rough sketches.. lots of erasing. I inked it. Added some text. 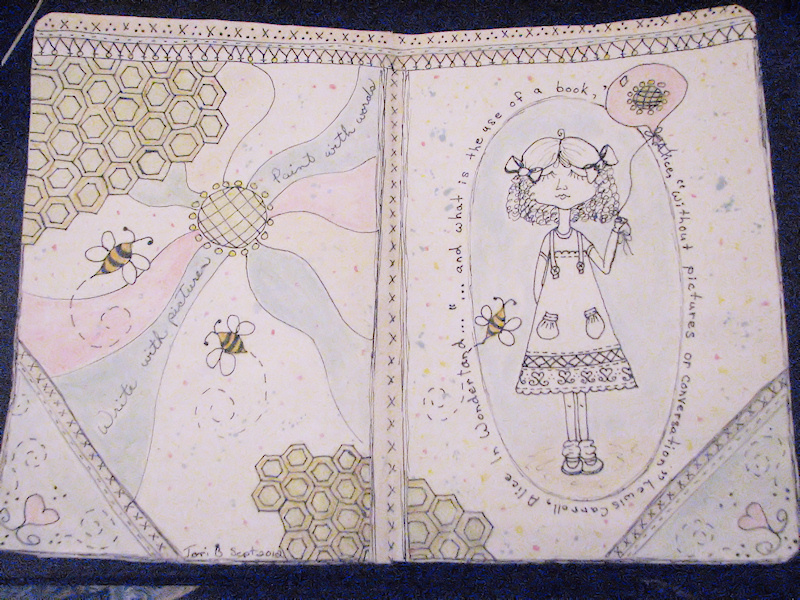 And the final journal spread after the color was added. I really have to figure out a way to light my photos better. The lighting in my house really isn’t set up for a photography, especially at night. I guess I shouldn’t photograph at night. Does anyone have any tips? Thanks for having a peek at what I did this week. You can see more journals and all of the lessons over at Jenny and Aaron’s blog, Everyday is a Holiday. Just click the link below. 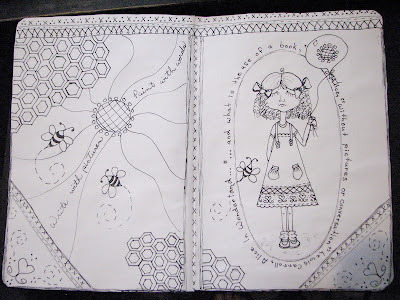 Posted in Uncategorized and tagged art, art journal, journaling. Your drawing are so so cute! And the lettering and where you choose to put things is just perfect! also, thanks for including your rough sketches…peeps love to see the wizard behind the curtain. My work space has a great window right above it, so I'm going to sit on my eagerness to photograph when I finish something at night and wait until daylight… it's going to be hard lol but I'll take your advice. 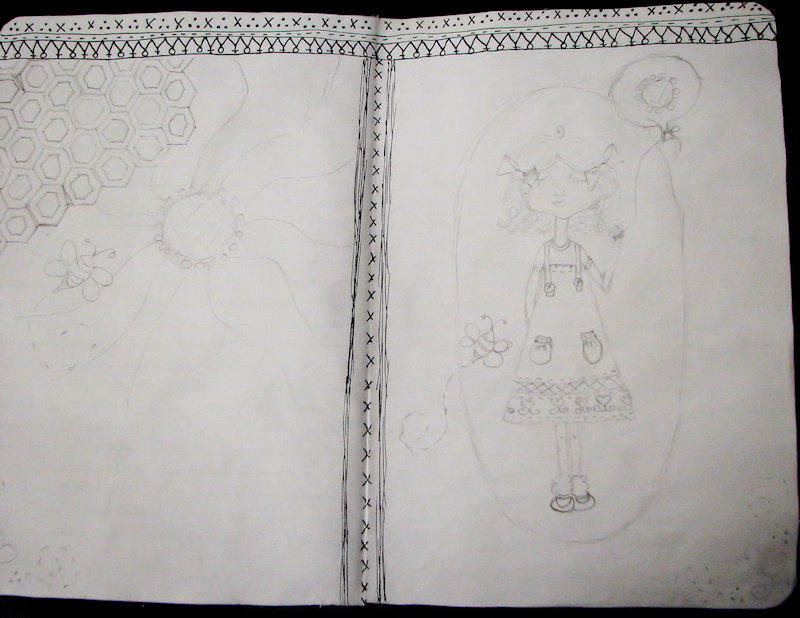 I love the drawing of the little girl with her cute ringlets. I like to take pictures right in front of the door, but not with the sun directly on what I'm photographing. I also like to put it on top of a white canvas and stand one up behind it. Like a little studio. Thanks Nykkey. Good idea about the white canvas. I'll see what I can rig up.